The Short Course Flash 3.0 is based on the successful Flash 3.0 buggy chassis and sets a new standard for 1:8 nitro ready-to-run models. As standard, it comes with everything that makes the Short Course so durable and powerful. 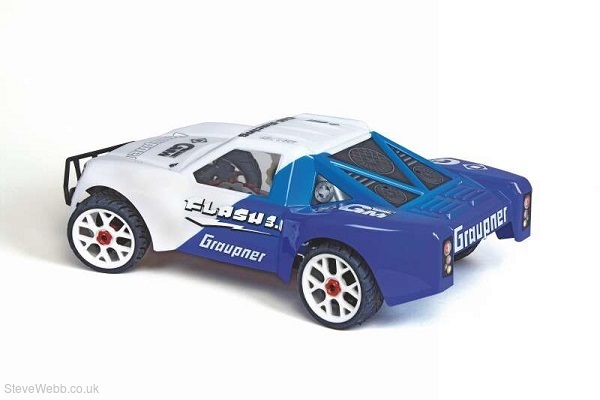 Unique for this price class, for example, are the red anodised 17 mm Big Bore aluminium shock absorbers, machined shock absorber bridges and chassis struts, all of which make the Flash a real racer. 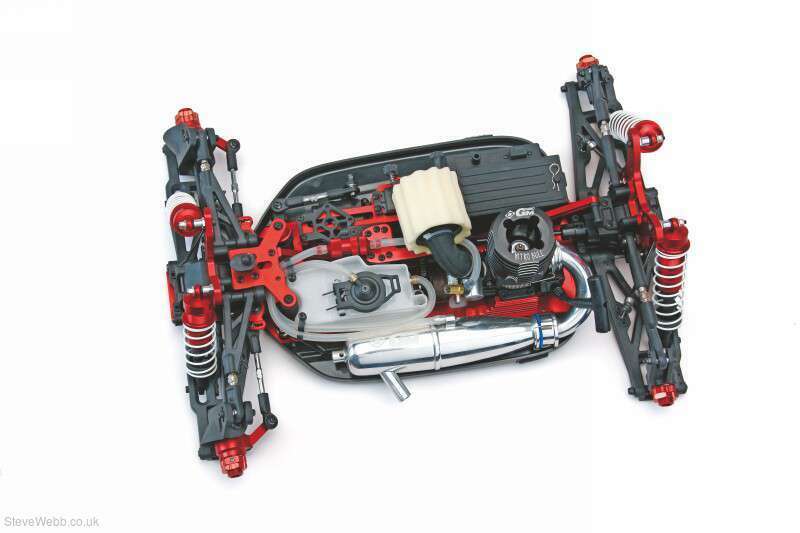 As standard, the Flash 3.0 comes with a high-quality GM-Racing XG-6i Sport-Spec 2.4 GHz remote control system and a powerful GM Nitro Bull 3.5 ccm motor with pull-cord starter; it is 99% pre-assembled. 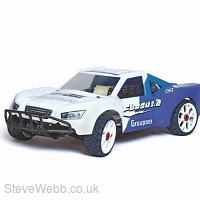 Fuel, rechargeable batteries or batteries for the remote control unit and a nitro starter set are all you need to complete this model.